At least 15 passengers were killed and 25 others were wounded during a traffic accident on Saturday, local officials said. According to provincial governor’s spokesman Aziz Ahmad Azizi, women and children are among the victims as well. 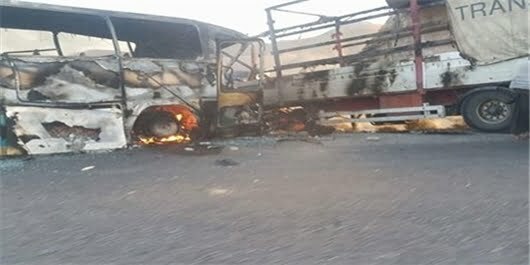 local officials said the accident occurred at about 06:00 am (local time) in Zhari district when a passenger bus and a truck collided. Three women are among the dead and three are among the wounded, Azizi added. According to Azizi, three children lost their lives in the accident.